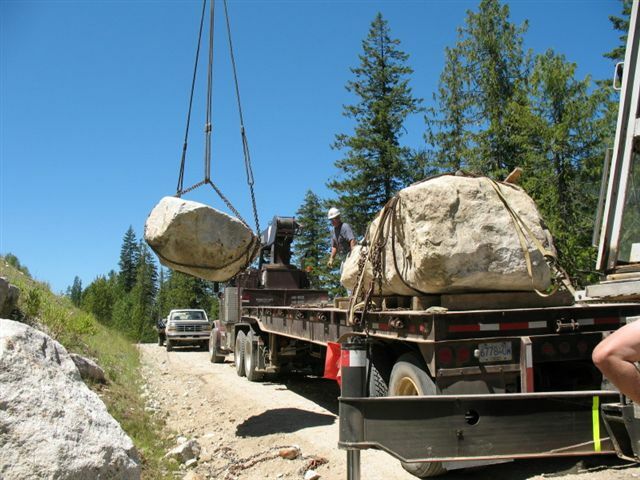 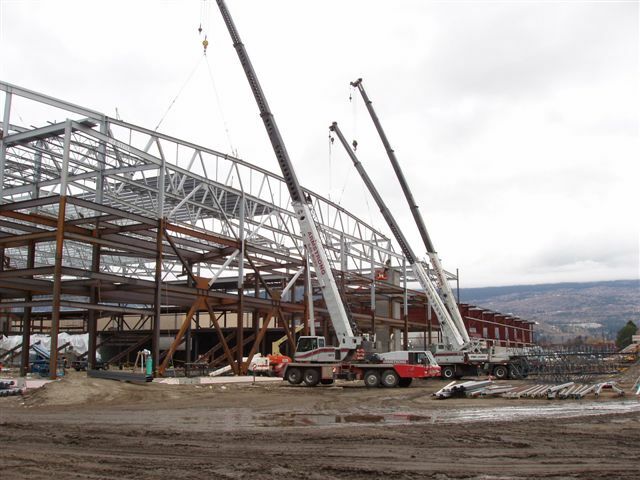 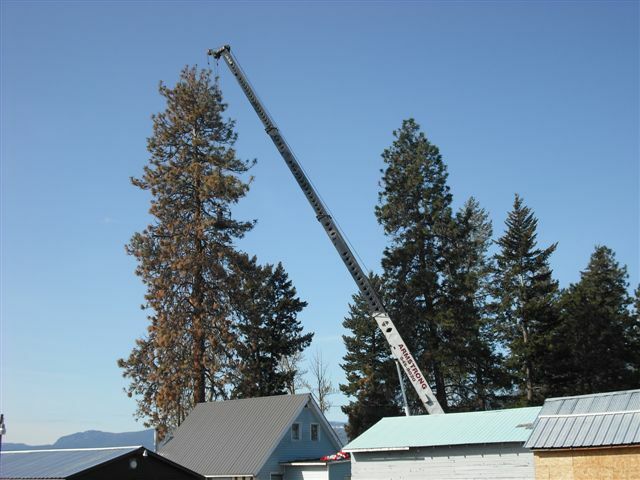 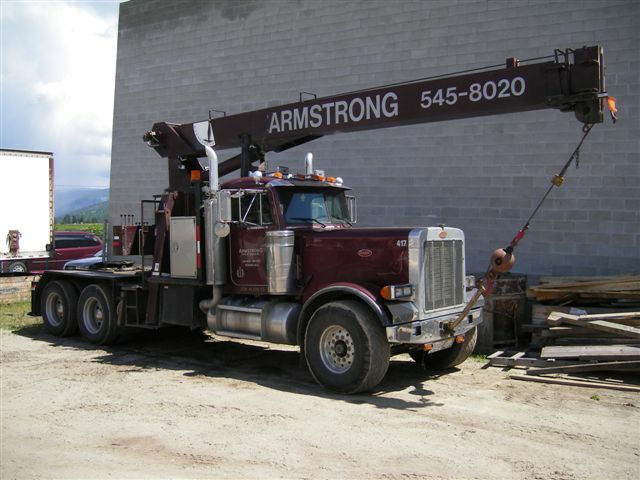 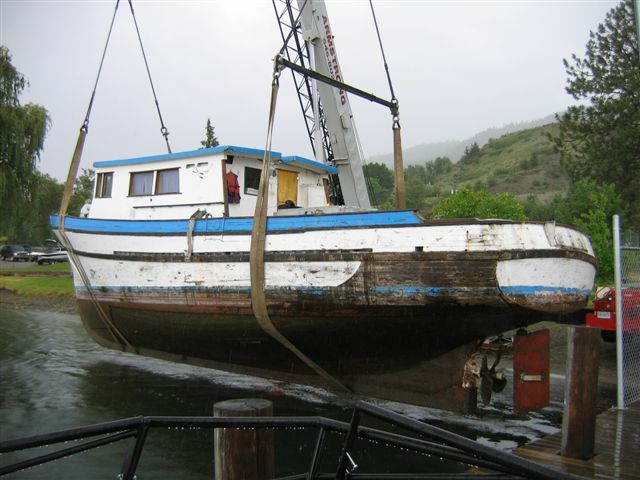 Armstrong Crane and Rigging Inc.
Armstrong Crane is a mobile crane service operating in the Okanagan Valley of British Columbia. 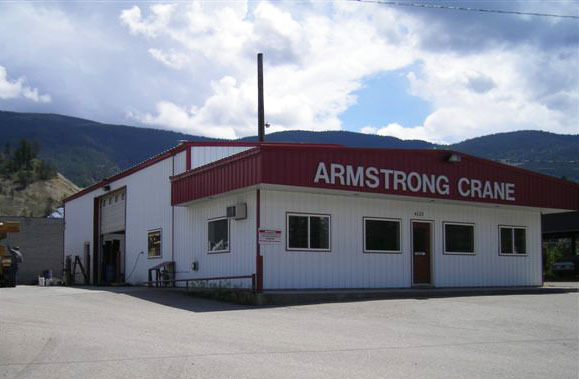 We are a family owned/operated business that takes pride in its reliable customer service that is available 24 hours a day. 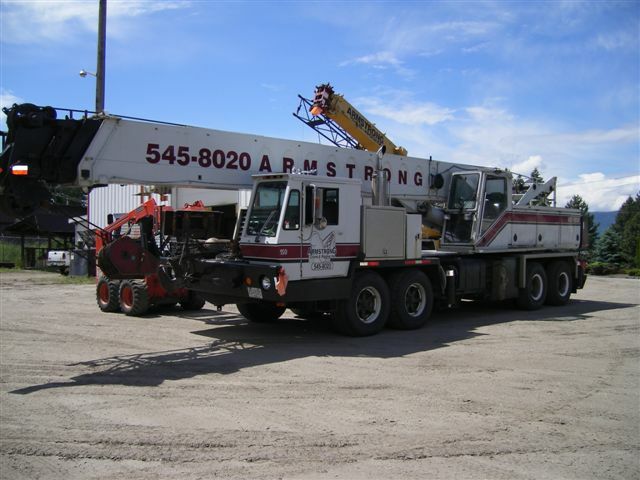 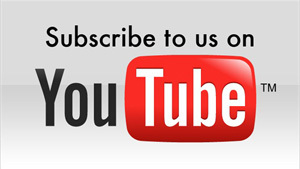 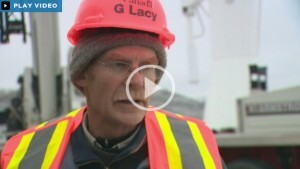 We will not sacrifice the safety of our customers, operators, or related personnel to provide the best service around. 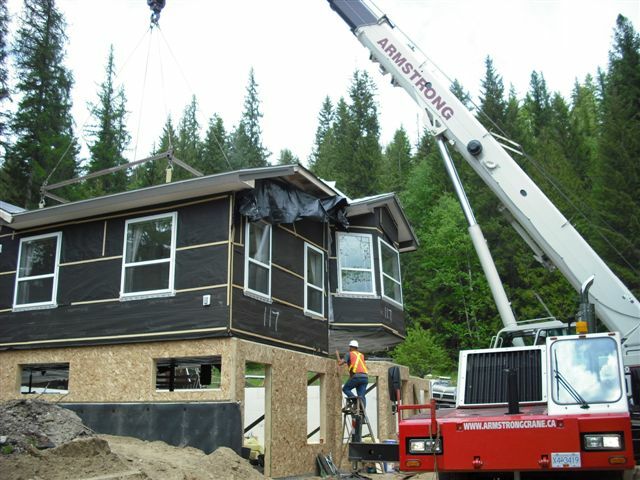 Using hydraulic truck cranes and boom trucks, we have over 40 years of experience in lifting and moving anything from delicate computer components to oversize loads like modular homes. 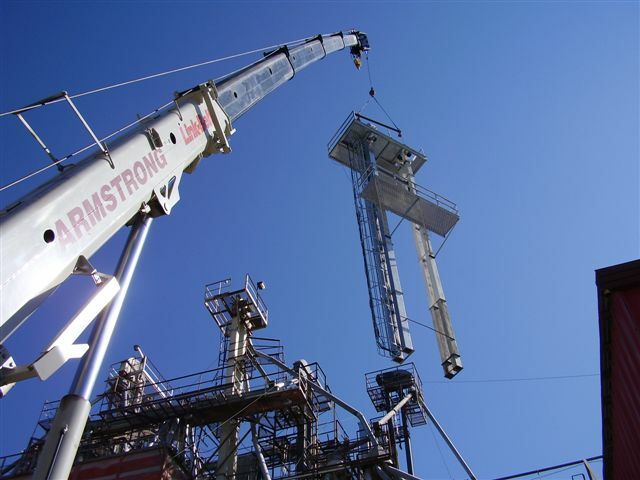 We regularly work within close tolerances that require a delicate touch and for situations that require to think outside the box to safely accomplish your requirements. 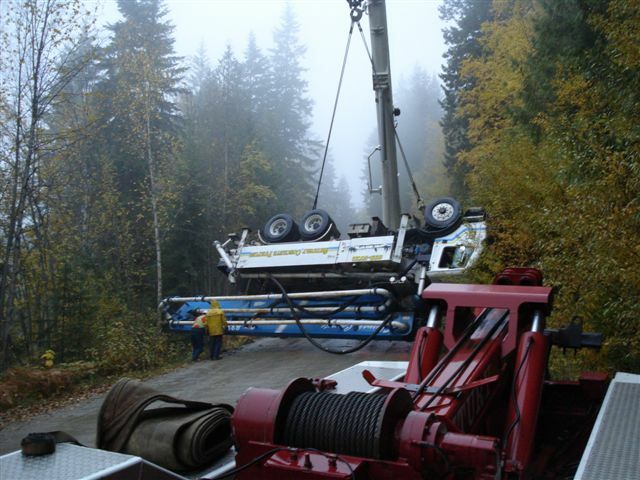 We have crane mating for soft soil interruptions and are experienced on setting up on most slopes that is inherent to British Columbia. 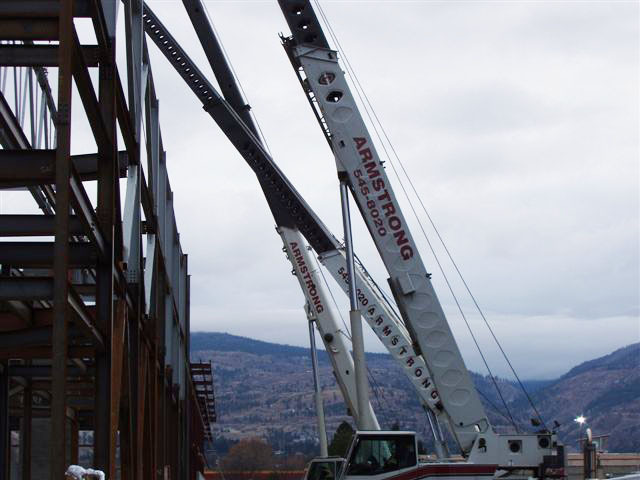 All of our operators are BC Association for Crane Safety (BCACS) certified. We are confident that you will find satisfaction in our fully competent operators. 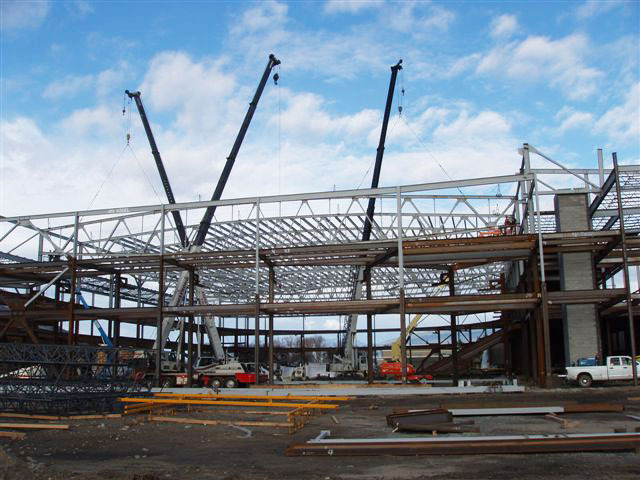 We are fully insured and our general liability coverage exceeds most customer requirements. 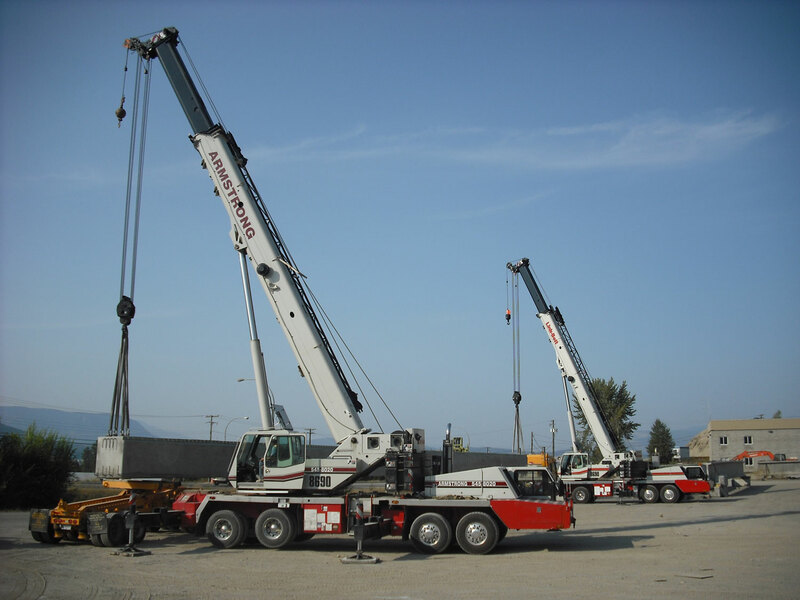 All cranes undergo a rigorous inspection program not only for highways specifications but also important crane inspections, some daily others annually. 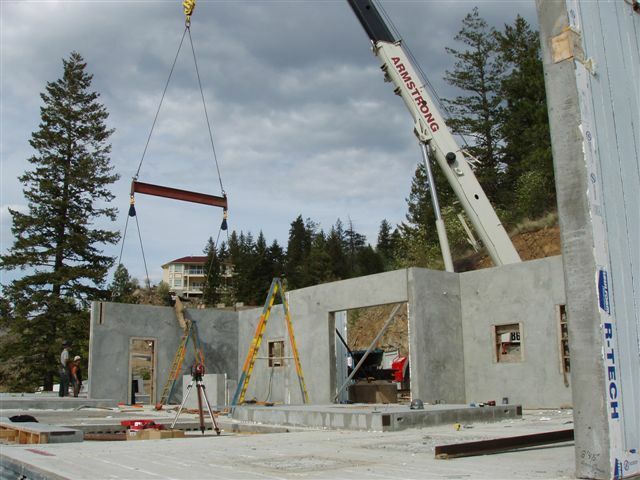 We have onsite storage available that is secured in our heated storage area, storage in shipping containers, and yard storage that is fenced and video monitored. 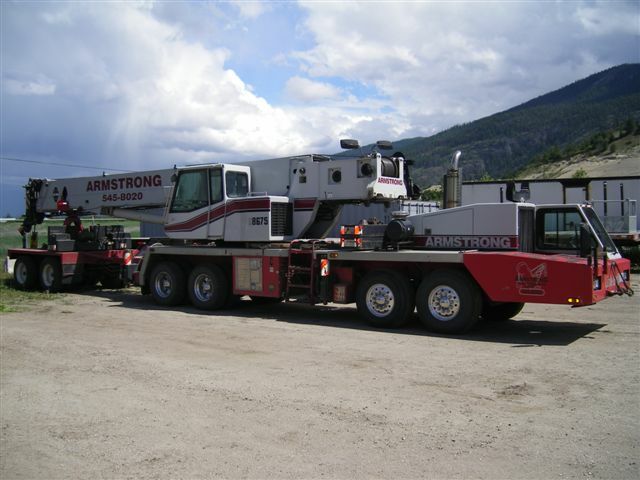 Ask us about shipping/receiving at our location so that we can take care of your logistics needs and make sure the equipment you require is on site and on time every time. 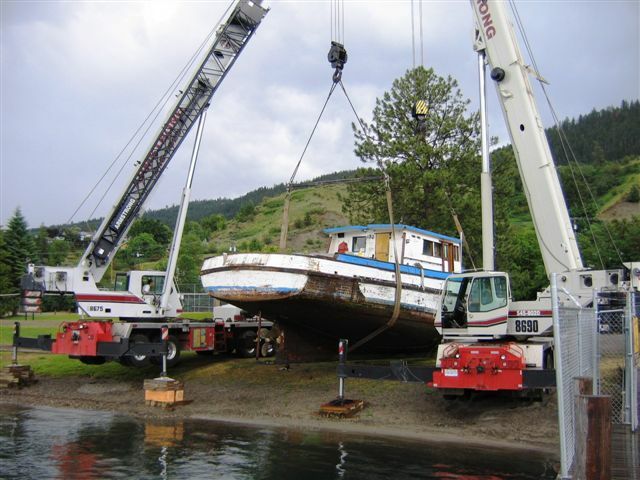 There is no job too small or too big, too short or too long that we cannot assist you with. 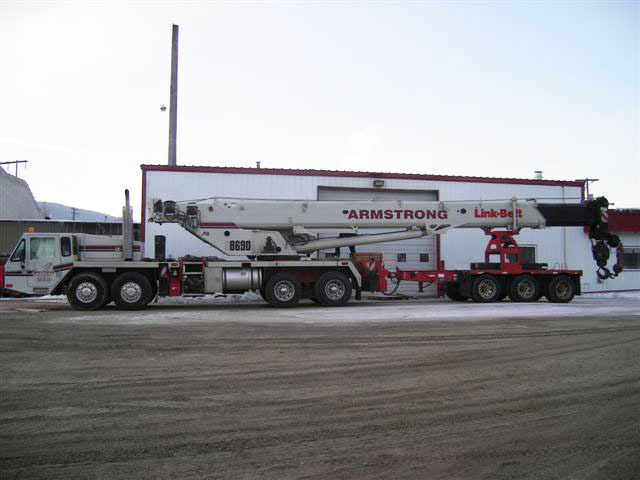 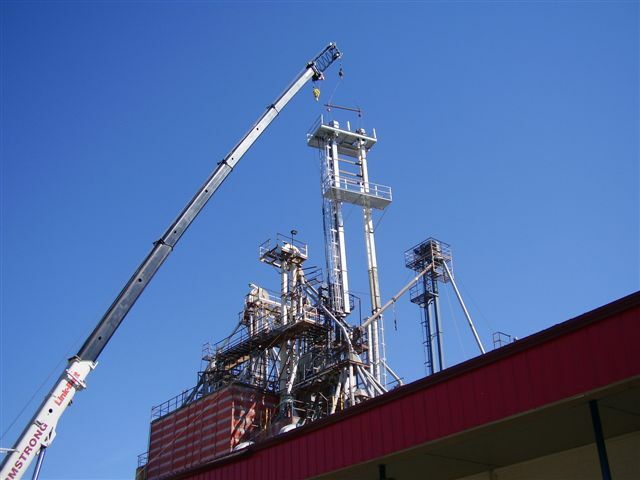 The services offered by Armstrong Crane will enable you to complete your project safely, efficiently, and economically. 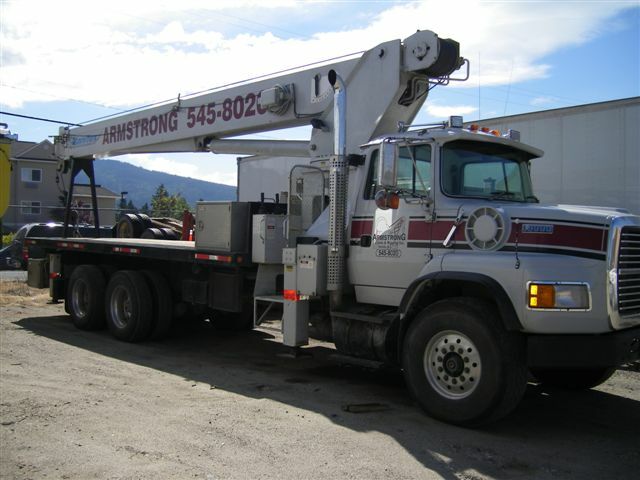 Call us for any questions that you may have and see what our “muscle power” can do for you.